Bob Weir (born Robert Hall Weir, October 16, 1947) is an American singer, songwriter, and guitarist, most recognized as a founding member of the Grateful Dead. After the Grateful Dead disbanded, Weir performed with The Other Ones, later known as The Dead, together with other former members of the Grateful Dead. Weir also founded and played in several other bands during and after his career with the Grateful Dead, including Kingfish, the Bob Weir Band, Bobby and the Midnites, and his current band, RatDog. Weir played mostly rhythm guitar during his career with the Grateful Dead. He is known for his unique style of complex voiceleading, bringing unusual depth and a new approach to the role of rhythm guitar expression. Weir was born in San Francisco, California and raised by his adoptive parents in the suburb of Atherton. He began playing guitar at age thirteen after less successful experimentation with the piano and the trumpet. He had trouble in school because of undiagnosed dyslexia and he was expelled from nearly every school he attended. One of these was the Fountain Valley School in Colorado, where he befriended John Perry Barlow, who, along with Robert Hunter, would in time become the two main lyricists for the Grateful Dead. Shortly before Garcia's death in 1995, Weir formed another band, Ratdog Revue, later shortened to Ratdog. As of April 9, 2008, Weir has performed approximately 800 shows with Ratdog. Known for his raspy, deep tone, in Ratdog Weir sings covers by The Beatles, Bob Dylan, Chuck Berry, and Willie Dixon while also performing many Grateful Dead classics. In addition, Ratdog performs many of their own originals, most of which were released on the album Evening Moods. Weir has also participated in the various reformations of the Grateful Dead's members, including 1998, 2000 and 2002 stints as The Other Ones and in 2003 and 2004 as The Dead. 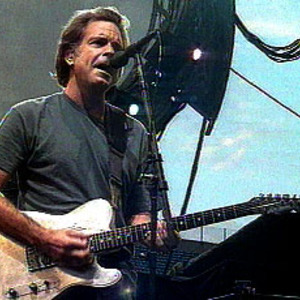 Despite breaking his ribs in a tour bus accident in early October 2008, described in media outlets that "It only hurts when I breathe, laugh, or hold a guitar," Weir is expected to perform with the remaining members of the Grateful Dead (Lesh, Kreutzmann, and Hart) with Jeff Chimenti (Ratdog) on Keyboards and Warren Haynes (Gov't Mule, Allman Brothers) on Lead Guitar and Vocals, on October 13, 2008, in a get out the vote Concert for Change at Penn State University.